This is Maddie. She was born in September of 2009. 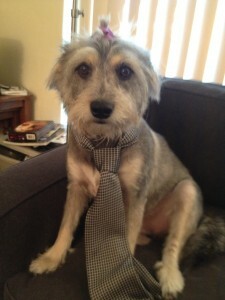 Maddie is a Schnauzer mix. 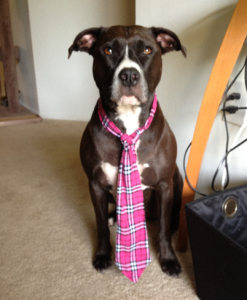 She loves rocking ties and helping Buster fight fraud! 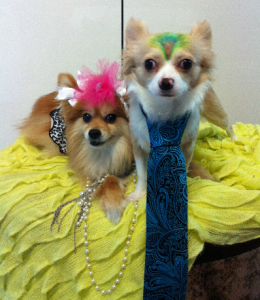 This is Stoli and his partner in crime Martini. Stoli was born December 24th, 2009 and Martini was born October 24, 2003. 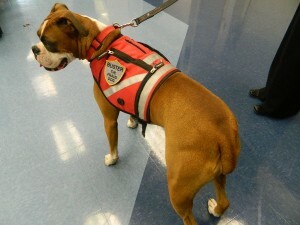 They help Buster fight fraud in Orlando in the Downtown Area. They love staying up to date with the latest fashion and fraud trends! This is Nala. She was born May 18, 2009. Her mom, Allie Ravin, loves pit bulls so Nala was the perfect fit. Nala loves to dress up like Buster and helps her catch bad guys! This is Boo. He was born February 15th 2012. 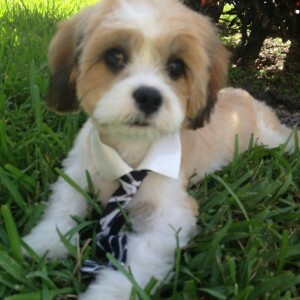 He is a mix between a Lhasa Apso and a Cavalier King Charles Spaniel. He loves Buster’s style and wants to be just like her! If your dog would like to help Buster fight fraud, please email a photo of your furry friend to agrandstaff@contegogroup.com!